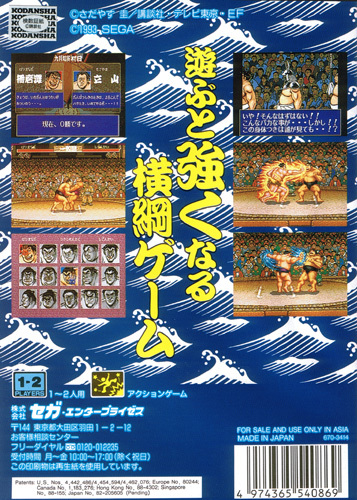 Quite a rarity in a sumo wrestling game with manga style cut scenes being based on a hit series and plenty of both pre- and post-bout posturing. Thankfully artistic license has been applied to the ritualistic sport with anime inspired leaps and special moves now possible to add to the diversity in moves. 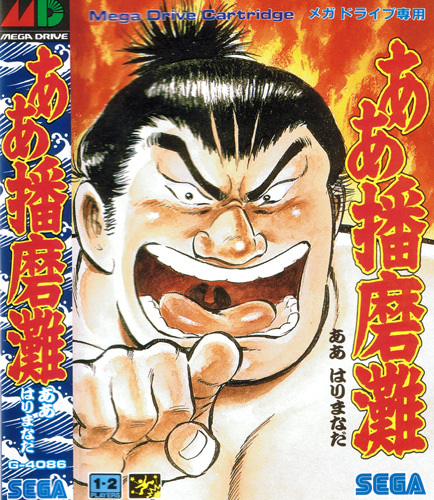 Kabuki style facial expression adds to the variety in wrestler between the fifteen playable, rather rotund sumos. Second hand. Slight manual cover impressions and a light dog ear.